"Make sure your data is in a safe place and backed up using Copy." Make sure all of your data is in a safe place, protected, and synced between all of your devices using Barracuda Networks' Copy cloud software. If you are familiar with cloud software, then you probably already know what you can do with Copy. The software builds off of a very fast cloud server where you will be saving all of your data if you use Copy. This software is available for all of the most common computer desktop operating systems and mobile operating systems, so you can sync all of your important data between your devices and have access to it every where you go without having to go back to one device for the content you need. You will always have what you want, when you want it with Copy and its cloud ready for you with all of your important data. 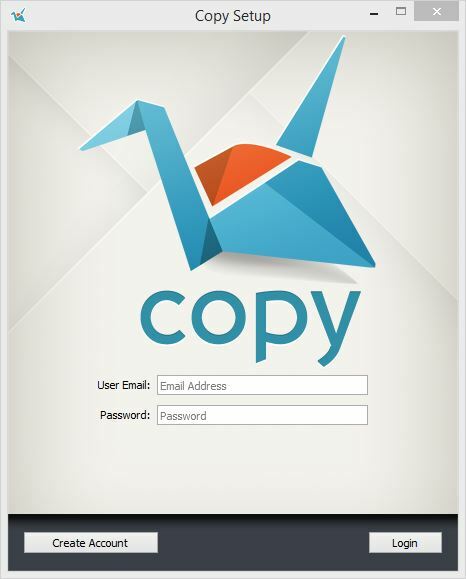 You can also have an option to share the files you upload to your cloud with other people over the Internet using Copy. This allows you to host important data that needs to be accessed by multiple people. You simply have to share the link with your friends, or who ever is going to access the files, and they can download the files when ever they want. Plus, you don't have file size limits with Copy, which sets it aside from its competitors. There are also cloud solutions for large companies if they need to back up their data to a safe place that needs to be accessible to them 24/7. Copy's business solutions are much more reasonably priced than their competitors as well, which makes it a great option for business looking for a cloud solution for a good price.